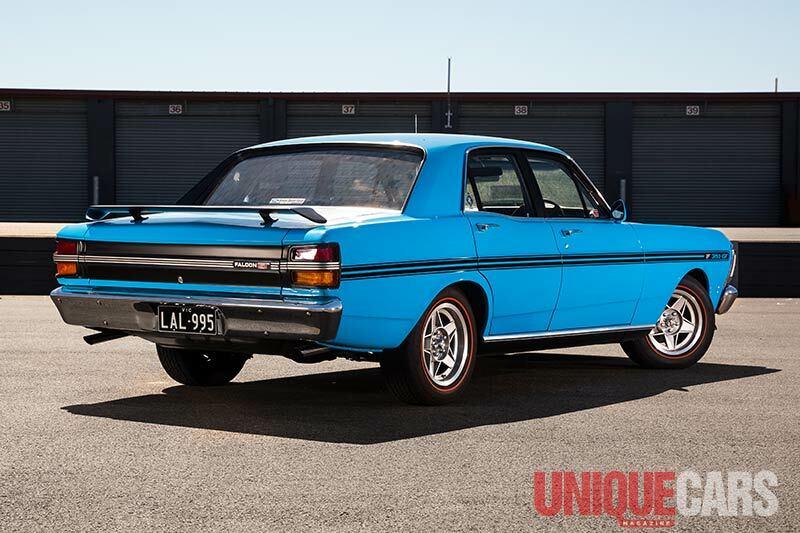 Just the front air dam and adjustable wing on the boot lid distinguished the Phase III Falcon GTHO from its XY GT sibling to the curious pedestrian. 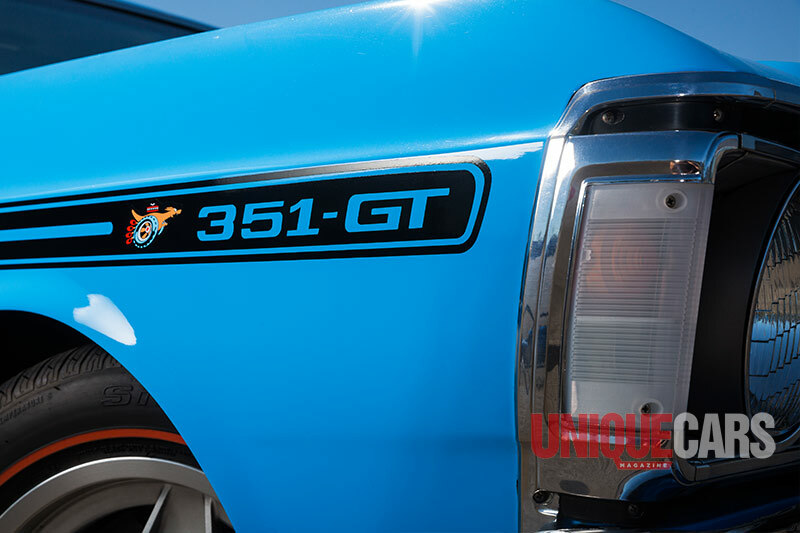 After all, the standard GT was already extroverted enough with its immediately legendary shaker telegraphing the pulse of its 351 cubic inch Cleveland V8. The late Howard Marsden, Ford Australia’s racing manager in the early 1970s, offered his opinion on the ‘world’s best value for $250’. 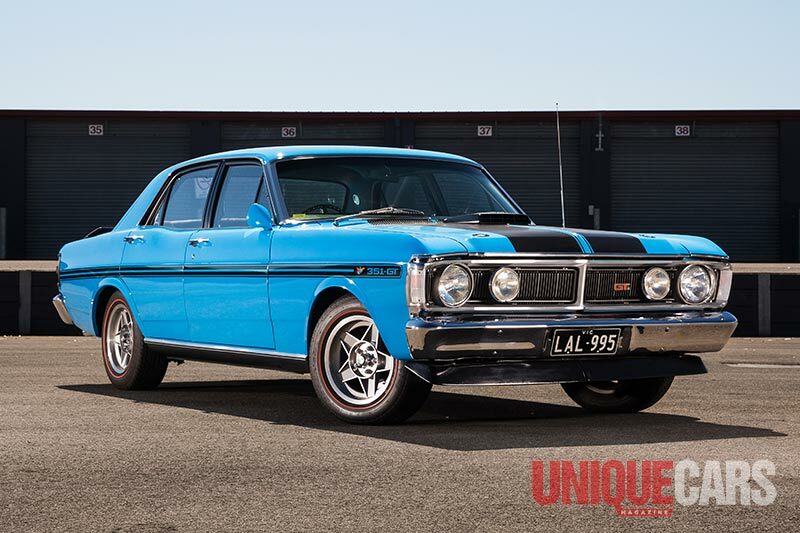 This was an option on the $5250 Ford Falcon XY GTHO. (Amazingly, the HO package added less than $300 to the price tag.) While the initials ‘HO’ stood for Handling Option, some customers planning to race at Bathurst spent $250 on top of the HO Phase III package for a special Quality Control (QC) engine. Those initials, said the great Howard, meant that the motor was ‘virtually hand-built’. About 20 of these engines were fitted to cars and were in seven of the top 10 finishers in the 1971 Hardie-Ferodo 500. 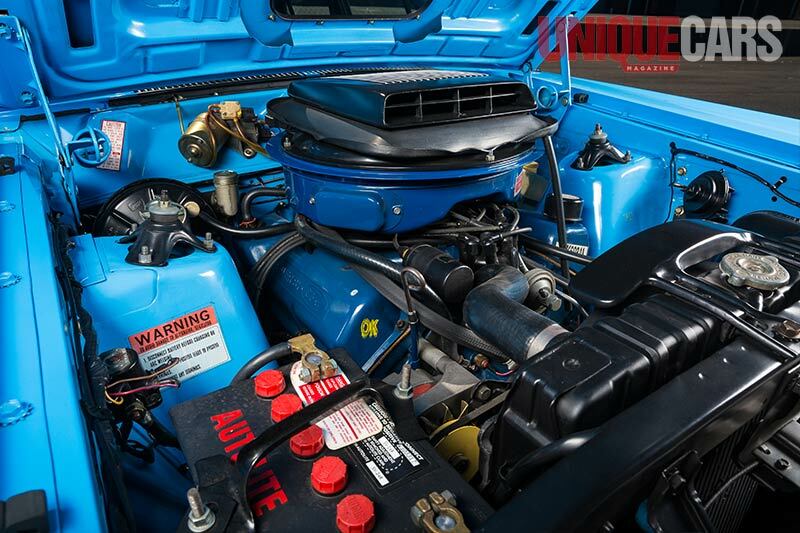 "Quite a degree of hand working went into the engine while it was on the production line." The major problem when the Cleveland 351 went racing was oil temperature and the sump capacity was marginal at eight pints. Bearing clearances on the nodular iron crankshaft could be excessive, too. "On the QC engines, we finished the crankshaft with various grades of emery paper and lubricants to pull out the nodular iron irregularities after machining. It was that sort of process that was important to keeping bearing clearances. In the end, it was a matter of keeping temperature out of the oil so that it was possible for the oil to last 1000 km." In standard form the number one bearing tended to go short of oil.But the QC motors featured revised oil pump and gallery systems to solve this problem. There were performance gains, too. Cc-ing of the chambers, work on the valve seating and exhaustive blueprinting added up to a palpable feeling under the right foot. 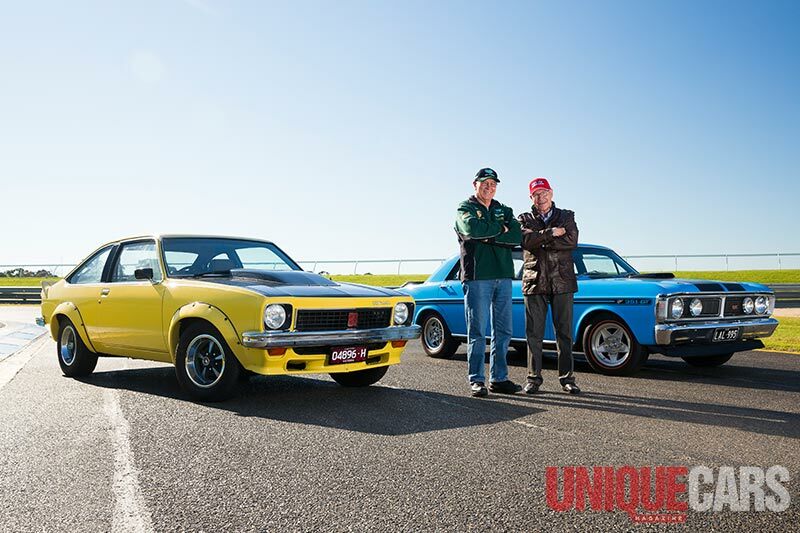 If so far this story seems to be more about the engine than the car, that’s because it was at the heart of the XY GTHO’s racing success, which in turn is at the heart of this most legendary ever Australian racing tintop. 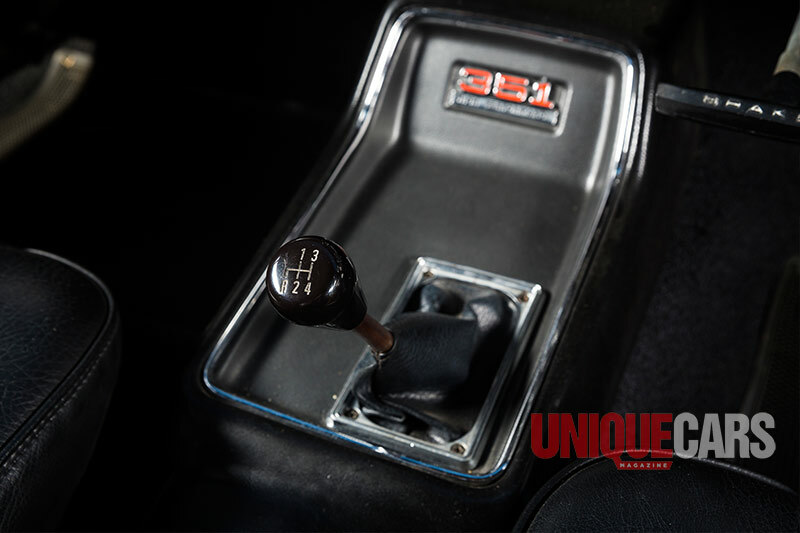 "I do not have any information on the actual engine power of the production version of the Phase III GTHO and the company policy at the time was to understate the power figures to keep our competitors guessing. But I did find some old dynamometer test sheets from the engine tests I ran on the 1971 Alan Moffat and John French race engines just prior to the 1971 Bathurst race. Those engines produced 370 brake horsepower at 6000rpm. Those engines were fully blueprinted of course and used an exhaust which was open." Stockings estimated the standing quarter-mile time at 14.5 seconds for a road car. With a fully blueprinted engine, track exhaust system and racing tyres this came down to about 13.2 seconds on our factory race cars. Chassis modifications are then listed. 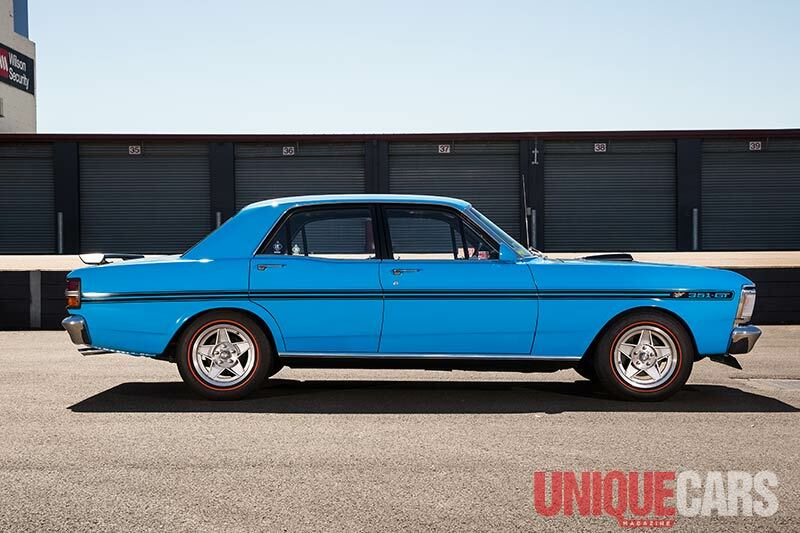 They include higher rate springs all round, thicker front sway bar, special high performance Daytona-type rear axle with choice of 3.25 (‘Bathurst’), 3.5 and 3.9 final drive ratios, wider rear brake drums, brake proportioning valve, brake vacuum reserve tank and larger diameter driveshaft. The Phase III also got revised front upper control arms and front spindle assemblies. The planned production schedule called for the first car to be built on 14 May with a further 49 that month, then 100 units in June, 100 in July and the final 50 in August. Two hundred cars would have Bathurst gearing with 50 each of 3.5 and 3.9. 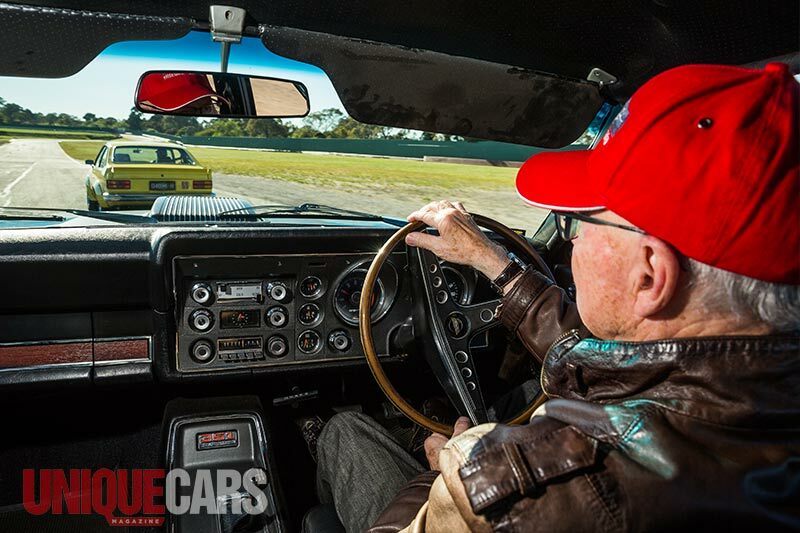 While Ford Australia had been serious about winning at Mount Panorama since 1965 when Harry Firth’s Cortina GT500 was the first serious Bathurst limited edition, following GM-H’s half-hearted EH S4 in 1963, Howard Marsden’s Phase III revealed a new intensity of application. The ‘standard’ Phase III was considerably better than its predecessors, but with the 3.25 final drive and QC engine, Moffat lapped an astonishing 10 seconds quicker. While Moffat’s achievement was singular, even the three seconds slower posting of John French gives the true perspective on the supercar era. In 1967 the Geoghegan brothers claimed pole in their XR GT with 3:03. The track, of course, was much narrower then than now. Perhaps Caltex Chase added three to four seconds to lap times in 1987. But the Mazda RX-7 Twin Turbos which dominated the 1992 Group E (production cars) James Hardie 12-Hour, lapped in about the same time as Moffat’s 1971 pole. Because the track was by then so superior in width and surface, the handicap of Caltex Chase was almost cancelled out. The Phase III in 1971 was my second Bathurst win and it went faultlessly for the whole race. In '72 the rear brakes blew up and they needed to be doctored and I went back from first to ninth. But the engine and transmission were unbreakable. The next year was with Pete Georghegan in 1973, we won that race. To my great joy, when he got out of the car and I jumped back in, I couldn’t tell that he had touched anything. It was just as if he’d never sat in the car. It was really incredible. I played a role in developing the car because I was behind the steering wheel. But really the engineers and top brass from Ford Australia were quite capable of working till 10 o’clock at night and providing cars for all of us drivers who were lucky enough to have the seats. We had specialist engineers on different components such as the motor and transmission. Some would work all day at Ford and then come over to the workshop to do a night shift. It was a shame the whole supercar scare came along. I drove the Phase IV at Lakeside and that would have been the type of thing that would have given the A9X some serious competition! 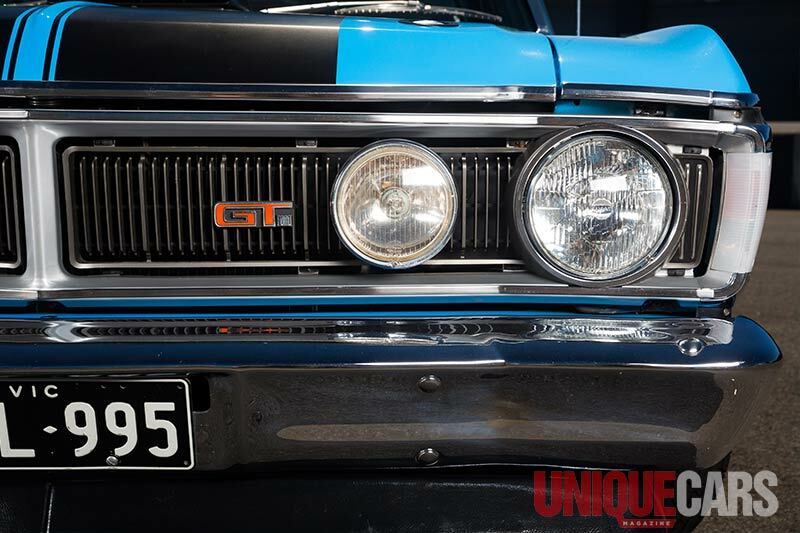 More has been written about this car than any vehicle in Australian automotive history yet hardly any of us will ever ride in, let alone own, a GTHO Phase III. It is the ultimate aspirational purchase; the model with undisputed pole position on thousands of 'when I win the Lotto' lists. Officially there were 300 Phase III GTHO Falcons built. 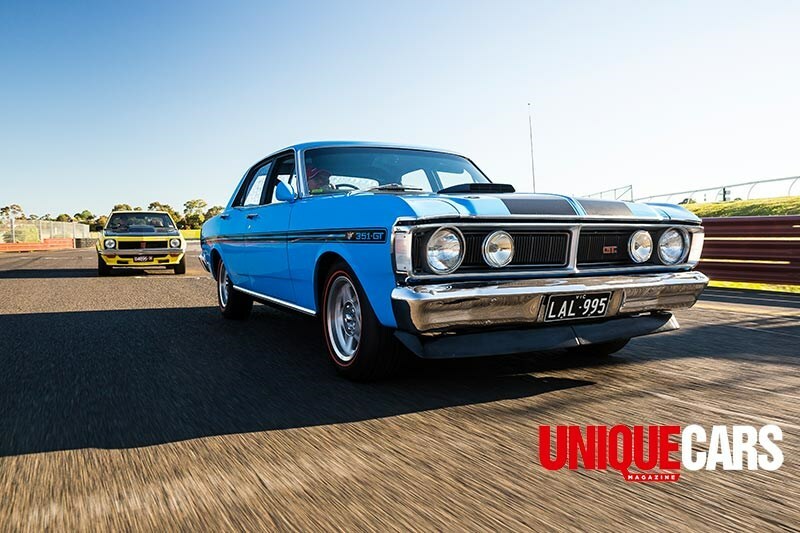 The car's existence was confirmed via a simple Technical Memo issued to dealers and detailing the differences between Phase IIIs and the basic Falcon GT. As a racing car the Phase III really didn't accomplish all that much. 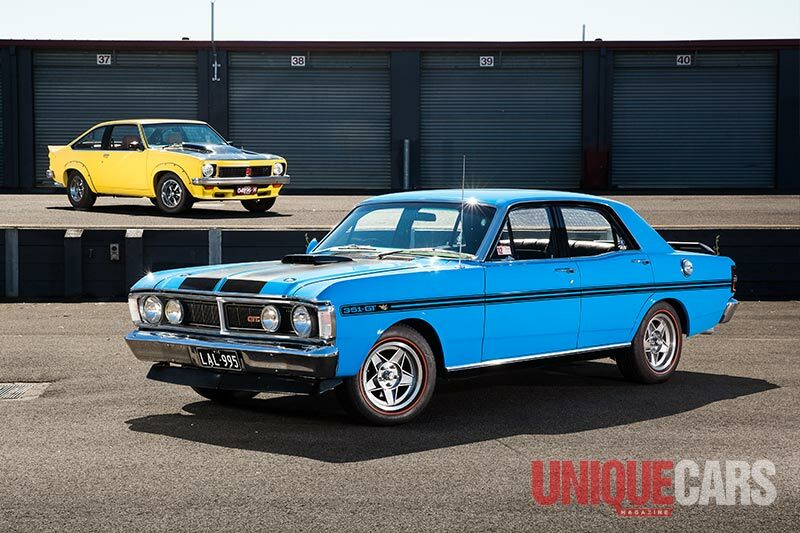 Bathurst dominance in 1971 and the 1973 Touring Car title (as an Improved Production car) were significant results but skimpy when compared to the achievements of the A9X Torana or even Ford's own XA-XB Hardtop. Race-circuit heroics are just one aspect of the Phase III's mystique and market appeal. 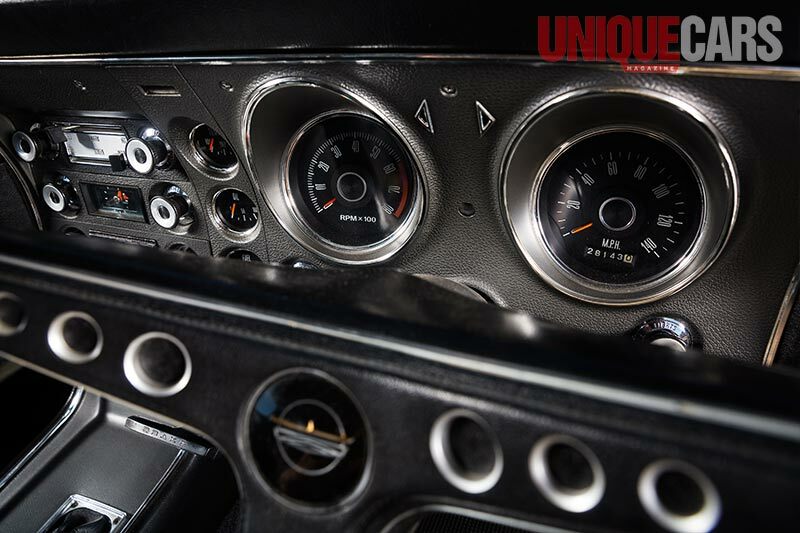 Based on verifiable top speed it was for a time the fastest four-door car in the world. At $5200 new it wasn't a cheap but well within the means of locals who might otherwise have bought a V8 Benz or imported US performance car. If you could get one at all. Add to those factors the sound of that free-revving Cleveland V8 and the 'shaker' air intake (which only the XY GT and its derivative would ever offer in this country) and you have a collectible of mighty proportions. Discussing how a Phase III might perform if asked to adopt the role of regular transport is pretty much irrelevant. They would undoubtedly rate as the coolest car ever in the school drop-off zone but people aren't going to buy them for that. For good or ill, these are cars that will sit for the vast proportion of their future lives in darkened garages and sheds, probably covered by a dust-sheet. 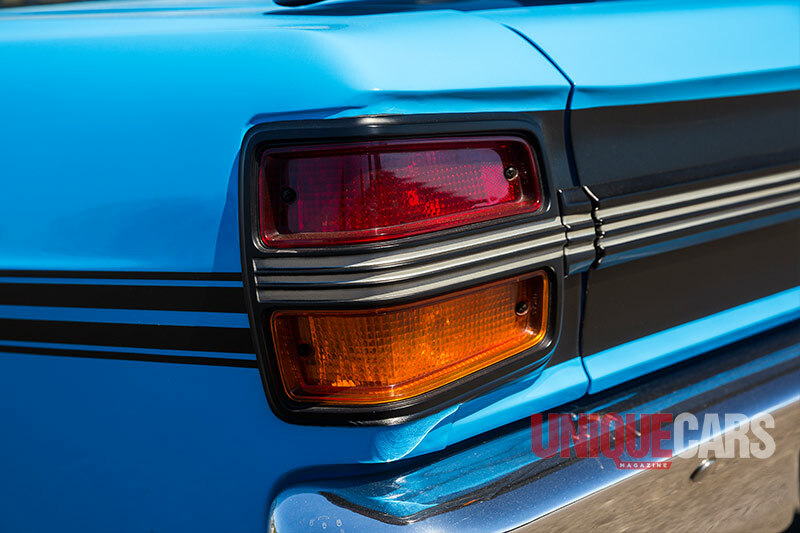 The only time their pristine paint might be exposed to light is when a proud owner says (often for the umpteenth time) "Have I shown you the car yet?" Opportunities to own a Phase III are few and far between. But there is a glimmer of hope for those prepared to be patient. Phase III owners aren't necessarily rich. You didn't have to be in the 1980s and '90s when these cars were unwanted and relatively cheap. However, as the years pass, that GTHO in the garage looks more and more like a ticket to comfortable retirement. It is those cars that will come onto the market during the next five to 10 years. The majority of long-term and more recent purchases will go to auction. Nobody can tell from one month to the next just what values might do and how the desire to own a car this exclusive and impractical will ebb and flow. However, any successful sale will invigorate the market and get vacillating vendors prepping their own cars for a twirl around the rostrum. I bought the GT in 1998 off a family friend, who bought it in '73. I’d grown up with the car – used to wash it as a five-year-old and get 10 dollars for it back then and managed to eventually get it. I’ve got a panel and restoration shop called Preston Panels – we’ve had that since '76 and I’ve known Peter, the former owner, since then. I remember going down there on Saturdays with Dad, and there would always be GTs and they’d all be red – that was the only true blue one. I just fell in love with it. I drove it at my own wedding – there's a lot of sentimental value. The opportunity didn’t really come up – I had to force his hand, went there with a nice bottle of Johnny Walker and managed to get it off him. It’s a beast to drive, a real race car. When something does happen it’s hands on. If you have some mechanical background you can usually sort something out and get them going. My advice for buying one? You have to pay good money to get a good car. You need to know the history. The checks you make when assessing a Phase III are the same as you undertake when looking at any car. The major difference comes once you are happy with the car's basic presentation. At that point the final and very intensive inspection must handed over to an acknowledged and objective authority. Cars that display serious rust to an authentic body shell will probably justify the cost of extensive restoration. Those that were not properly repaired after a major crash in years past or were repaired using a non-authentic body shell will be worth considerably less than the rusty car and might not be viable at all. 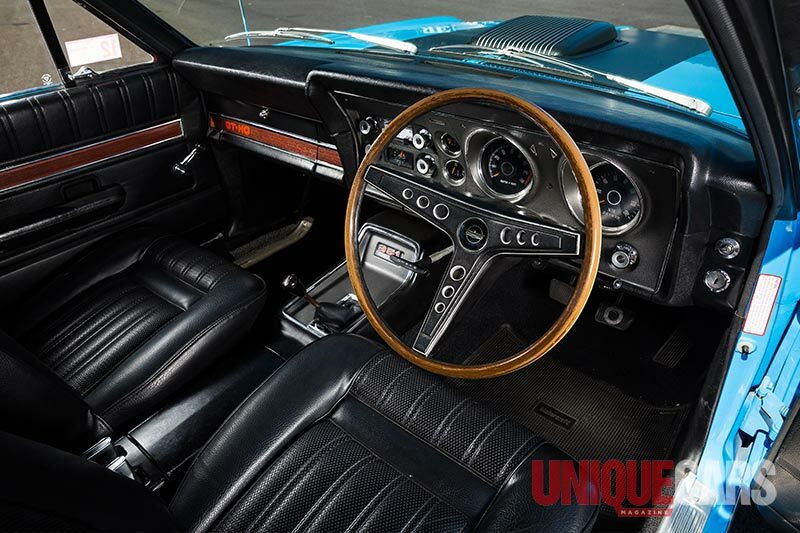 Finding a Phase III with all of its original mechanical components in situ has become the Holy Grail for GTHO collectors. An 'H' on the build plate and matching number on the block are just the starting point, with numerous differences between HO motors and standard 4V Cleveland engines. Phase 3 engines – believe it or not – can suffer internal failures, however the major issues will stem from limited or a complete lack of use. The gearbox was different from regular GTs but replacements for the 'bullnose' top-loader are available; one recently advertised at $2800. Cars that aren't driven very far or fast might not have been treated to new bushings or shock absorbers for many decades and a sudden burst of activity will reveal deficiencies. 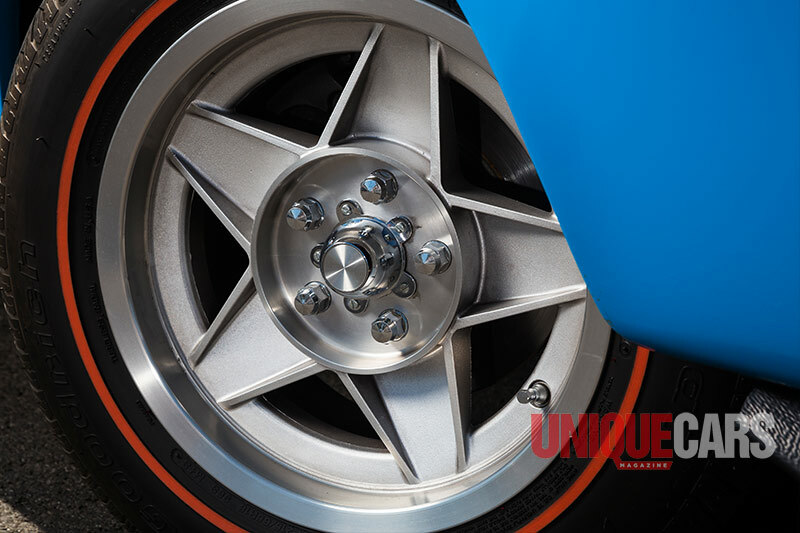 More than 50mm of free-play at the top of the wheel rim should prompt examination of all steering components. Likewise the brakes. If you find a pedal that feels mushy or excessively hard at start-up or that sinks to the floor after a few stops, negotiate harder on the price. Except for glovebox lettering and a choke control there's nothing inside a Phase III to differentiate it from more commonplace XY GTs. That's good in a way because pretty much everything needed to revitalise a tiring Phase III interior is available and not always at absurd prices. 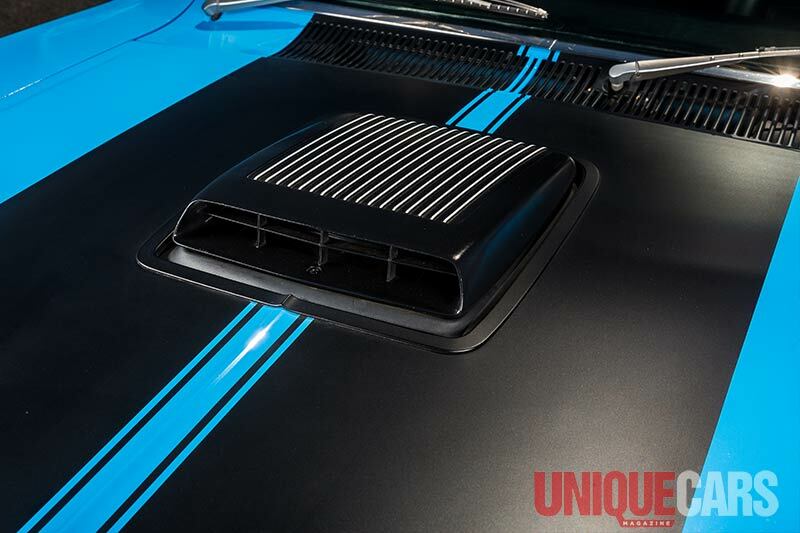 Complete sets of dash fascia panels cost around $1200, instrument inserts and switches are mostly below $100 each and even replacement drive-belts for the 8-Track cassette player can be bought – should your Phase III have one. 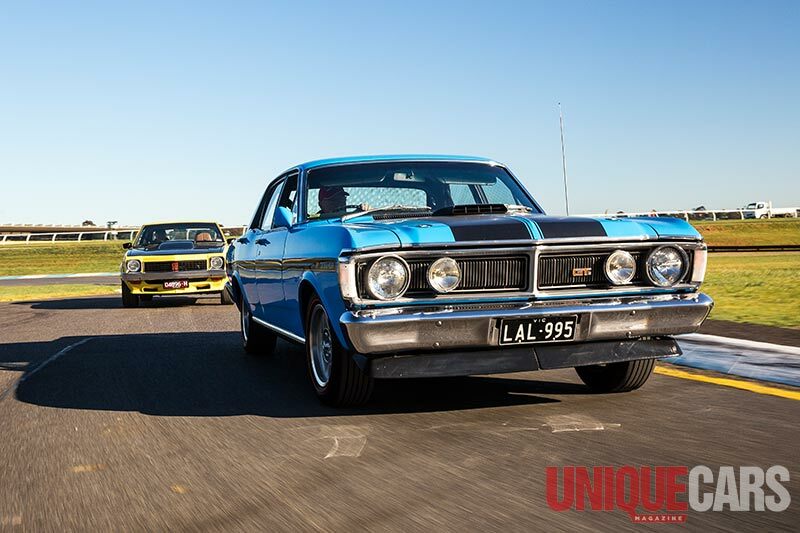 What's a Ford XR-XT-XW-XY Falcon worth? They're the cars that really made the Falcon legend - what are they worth?